Giving your pet an ideal diet is most crucial. A healthy diet provides the necessary nutrients that are essential for the little ones to grow. Pet Corner brings the loveliest of treats for your beloved ones. The pet food shop in Dubai comes with a wide selection of dry food kibbles, wet food and pet treats. Not sure what is right for your canine or feline friend? Experienced pet nutritionists can provide expert advice on pet food in Dubai. 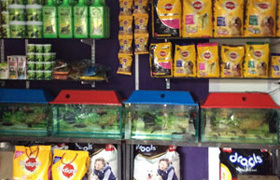 Pet Corner also has a range of food products for fish, birds, reptiles and small animals, delivered right at your doorstep.